Whether it’s flammable rubbish stored adjacent to your building’s exterior, or the risk of a firework or paper lantern landing on a tinder-dry roof – even a discarded cigarette that is not properly stubbed out – there are all manner of ways a fire can start in such dry conditions, and they can spread much faster and more easily too. And, of course, by getting your fire alarms and fire warning systems up to scratch now, you protect yourself for the future too, come rain or shine. Smoke alarms and fire detectors. Automatic sirens and manually activated fire alarms. Dry and wet risers for emergency services. Battery-backup evacuation lighting and signs. Carbon monoxide detection and alarms. The list goes on – if your premises pose particular challenges, for example a need to allow employees to evacuate via areas that are normally restricted – we can also supply access control systems with this capability. ACC Security supply standalone fire alarms, but we can also supply and install integrated fire safety systems, so that every element of fire detection, warning systems and automated response works in unison. 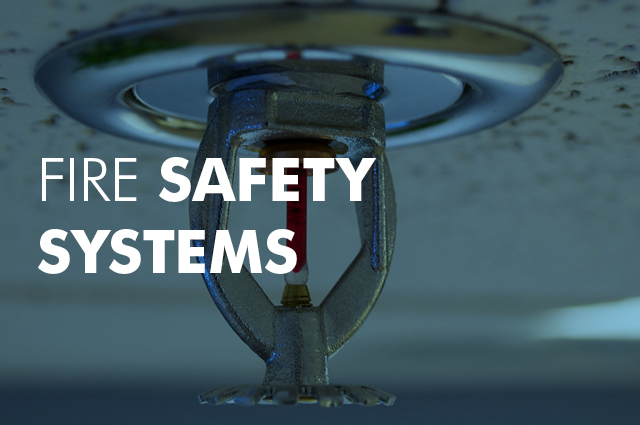 In this way, no matter when or where a fire breaks out on your property, you can be assured that anyone on-site will be alerted to the safety risk, while sprinkler systems begin to contain the blaze and emergency services are called out to tackle it. You might think you can’t fight a fire until it starts, but with integrated fire safety systems, you can get an early warning as soon as smoke is detected – and with a proactive response to preventing the fire from taking hold, it is often possible to prevent any significant damage from ever taking place. We offer free consultations on fire safety and the types of fire detection equipment that can help to protect your premises and your people. This is an essential area of keeping your property and employees safe, and if you have not had an independent fire safety audit carried out recently, we would urge you to book your no-obligation visit from ACC Security now. Our expert team is capable of putting together a completely bespoke solution to suit your needs, along with any unique challenges on your site as mentioned above. To find out more, call us on 0161 883 2502 today – we believe strongly in making sure fires are detected, contained and where possible, extinguished before they have chance to spread and endanger people and property, and will always do our best to recommend the most suitable solutions to keep your buildings safe.